oh good golly, Joan, I about drooled right into my coffee cup over this one! every one of my guys would go nuts over the stamp, your card, AND that cool tissue paper. this is just FAB!!! thanks for the tip about Waltzingmouse Stamps shipping, too. they really do have such cute stamps! p.s. I love my Big Shot as well! :) have a great day! Shut UP! That is NOT tissue paper!! LOve this ... love, love, love!! Genius! I bought the matching notecards, but didn't even think about using the tissue. oh, I love this Joan! Handsome, handsome card! I need to check out the WM stamps! TFS! Oh this is a show stopper for sure! I would say that tissue paper is a perfect match for the deer! I will have to go to target now! Love this a lot Joan! This is a great masculine card Joan! I never would have thought of adhering tissue paper to cardstock - what type of glue did you use? I haven't ordered these stamps yet.... but you are pushing me over the edge! Hi Susan. Thanks. I used Tombow Mono Multi glue. placed the glue on the cardstock and then placed the tissue on top. Then I ran it through my big shot to die cut. That spread out the glue and you really cannot see any bumps. I think it helps that it is a plaid tissue paper with a little more body than regular tissue paper. The stamps are really nice! Nice stamp and love the tissue paper and die cut panels. 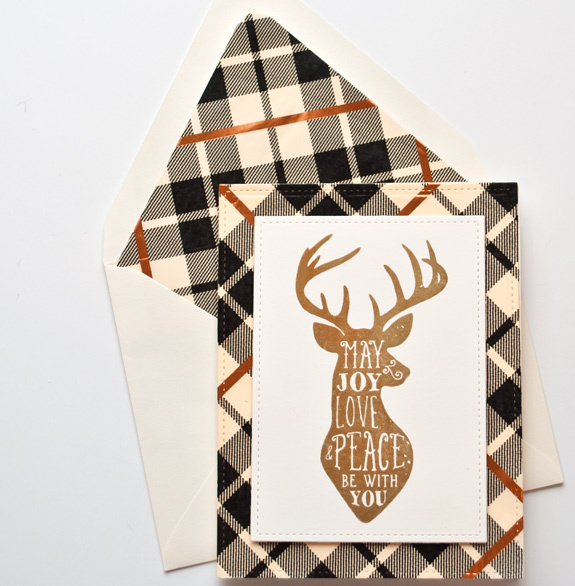 Very manly, but I like this kind of rustic card, too. Simply Splendid! You are a thrifty genius. Fabulous card. 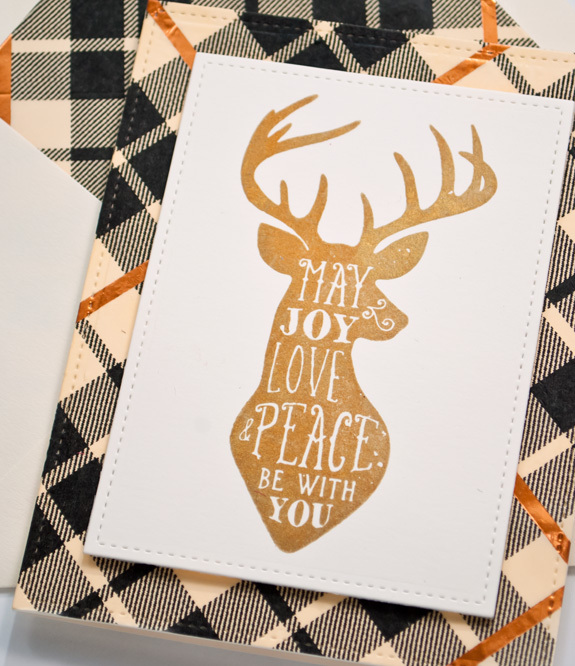 Popped over here after seeing this on Claire's blog and really like all the cards I've seen.